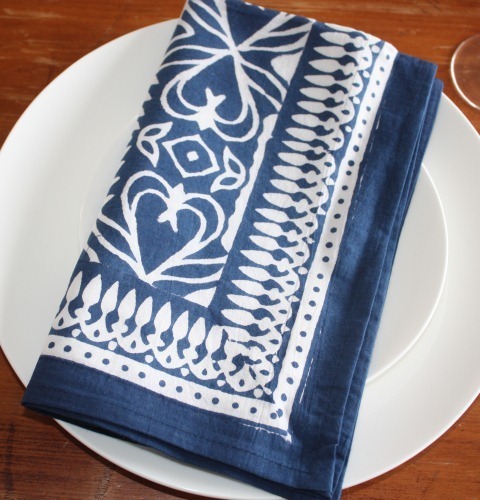 You can't go wrong with these Indigo and white napkins featuring a beautiful hand block printed design . Dress your table up with these beautiful napkins suitable for any occasion. 100% cotton. Matching tablecloth available.